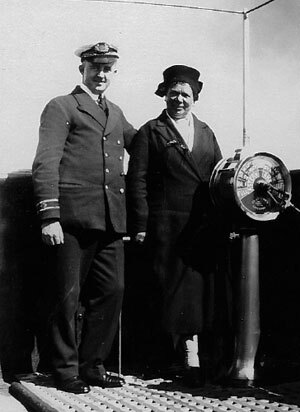 There have recently become available to us, a collection of photographs of the Steam Packet Crew in the 1920s and 1930s. 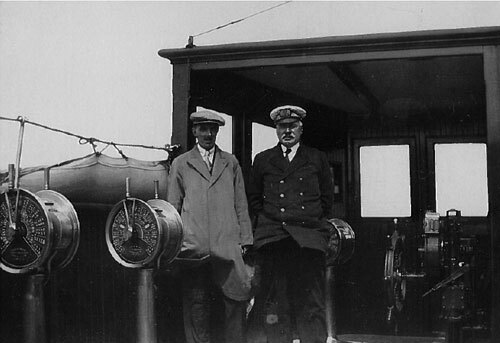 A Cockney photographer by the name of Ted Groom travelled to the Isle of Man for a number of years, becoming a welcome figure on a number of Steam Packet vessels. These photographs remained unknown of throughout the war years and it was only when his granddaughter, Victoria Wood, wrote her history on her grandfather that the images came to light. She has kindly donated the Steam Packet photographs to the Island, and our own Captain Jack Ronan has worked tirelessly to put names to faces and create a historical display to be enjoyed by all. 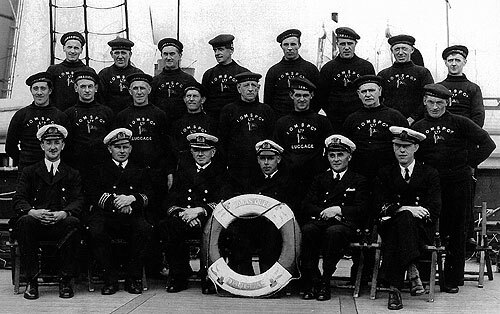 Ted is also to thank for the memorable images of crew on the Mona’s Queen before she left for Dunkirk in 1939, found within a collection of Ted’s photographs owned by Andrew Moore. Family members of former crew members have also been kind enough to donate images that have been passed down to them, all taken by Ted Groom. To download and view the full history as a PDF click here.